Baby frogs. Not tadpoles, but very small frogs! What will they eat? Wow. 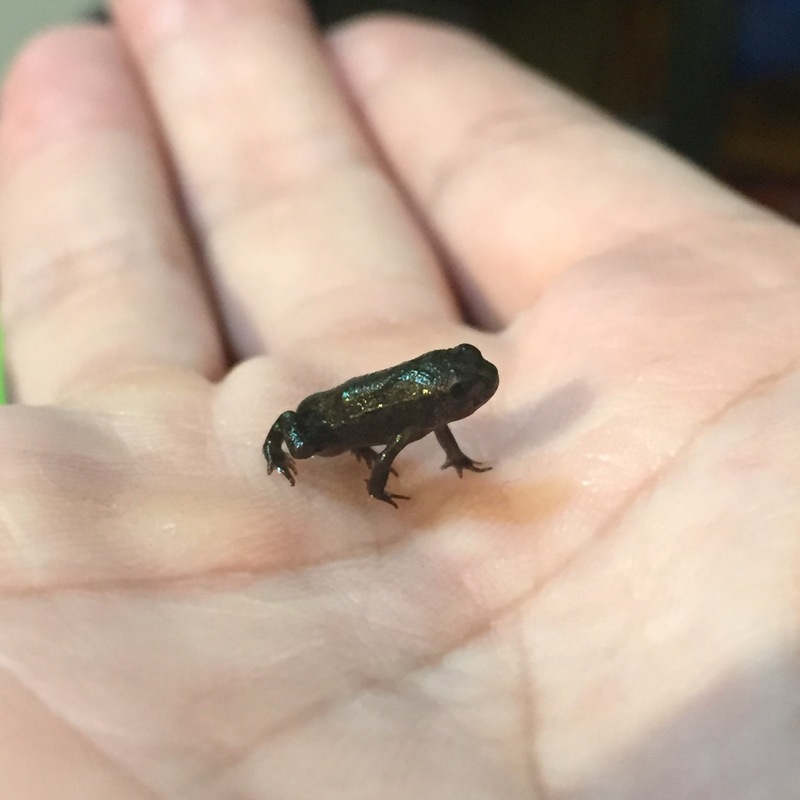 I don’t think I have ever seen (and certainly have not held) a smaller frog. Cool! from tadpole to frog.. these guys are teeeny!